Mississippi’s lawsuit system has consistently performed very poorly. Business litigators surveyed in 2015 ranked Mississippi 43rd in the nation at producing fair and reasonable justice. Despite efforts by Mississippi’s legislature to make changes to the legal system, improvement has only been nominal because of court interpretation and overzealous litigation. 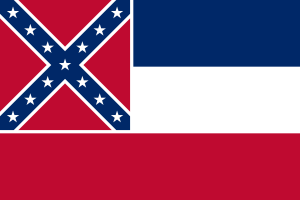 Mississippi’s statutes, however, are still in need of improvement in certain areas. NERA Economic Consulting completed a study quantifying the economic impact of passing a bevy of lawsuit reforms. According to the report, passage of a complete package of lawsuit reforms could increase employment in Mississippi between 1.07 and 2.89%. State Lawsuit Reform is an interactive 50-state survey on tort reform laws. See how your state laws fight frivolous litigation and pinpoint needed lawsuit reforms. State Lawsuit Reform is a project of the American Legislative Exchange Council. © American Legislative Exchange Council 2019. Stay up to date on State Lawsuit Reform! Sign up and receive important news every week.